One of the best systems/kitchens we have bought, compared to the others out there. The best fittings I?ve used. Quality of worktops and units are far better than more expensive kitchens. Internet search and reviews on site. Doors and units are excellent quality and delivery could not be faulted, We had a problem with one unit but the customer service was first class and could not do enough to resolve the problem quickly and successfully.We would highly recommend your company to friends and family. 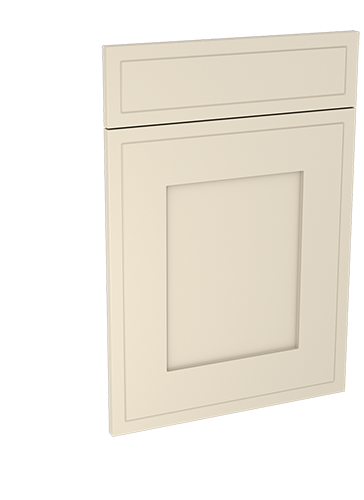 The quality and value of the pre built cabinets are exceptional. Our installers commented on the quality and range of units compared to other suppliers units that they have fitted. We are extemely pleased with the end result and the solid build quality of the units, doors, and fittings. We found DIY Kitchens when searching for kitchen ideas on the Internet. The very comprehensive showroom which we visited a few times was a great help when making a final decision on our selection. We are extremely happy with the quality and finish of our new kitchen. Our fitter was worried when we told him we had ordered our kitchen on-line (he's fitted some bad ones!) but was impressed with the units construction and ease of fitting especially as the units all came assembled, in fact all the tradesmen we had commented on the quality. We too had been nervous about buying online until we visited the fantastic showroom and the friendly advice we were given, the service from DIY Kitchens was simply first rate and trouble free. Welton in mussel, love it thank you ! Here are some photos of our finished kitchen. Shelley Mussel We are really pleased with it and would recommend DIY Kitchens. 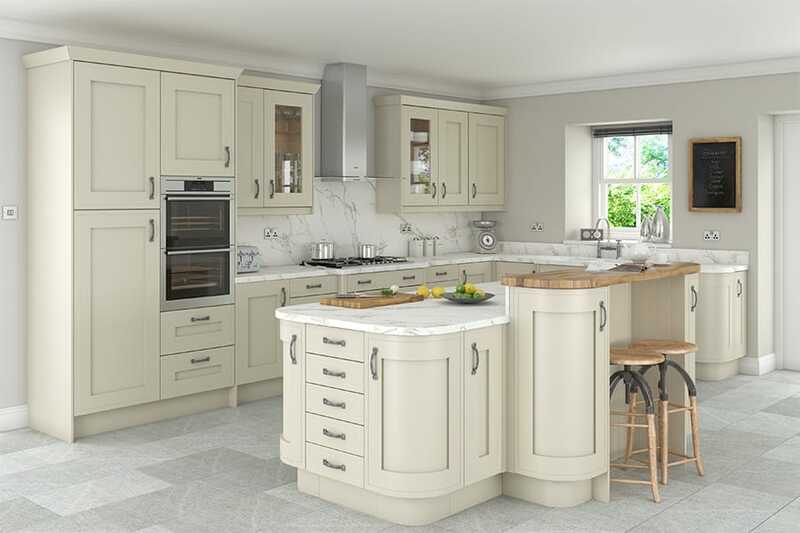 We had been looking to replace our tired kitchen for quite a long time and trawled the internet looking for good quality kitchens at reasonable prices. We found DIY Kitchens and from the start we were so impressed with them. The kitchen fitter was very complimentary about the quality of the units as he was anticipating them to be substandard as we had bought them online. However, when he started to fit them he had to admit they were First Class!! The teabags and biscuits you sent was just the icing on the cake... what a fabulous touch!! We are so happy with our kitchen and spend endless hours at the breakfast bar catching up on our days at work .. we would certainly recommend DIY Kitchens to everyone .. thank you. Really happy with the final quality of our kitchen, the 2 colours that we chose really contrast with each other.The kitchen showroom is fantastic! Order a Welton Mussel door sample pack Pack contains x 1 355mm x 297mm 'Welton Mussel' door. Fully refundable when placing a full kitchen order. There's no risk to you, we'll collect and refund the samples once you have finished with them.